Once a month, our leaders meet to plan upcoming events ranging from service projects to game watches. 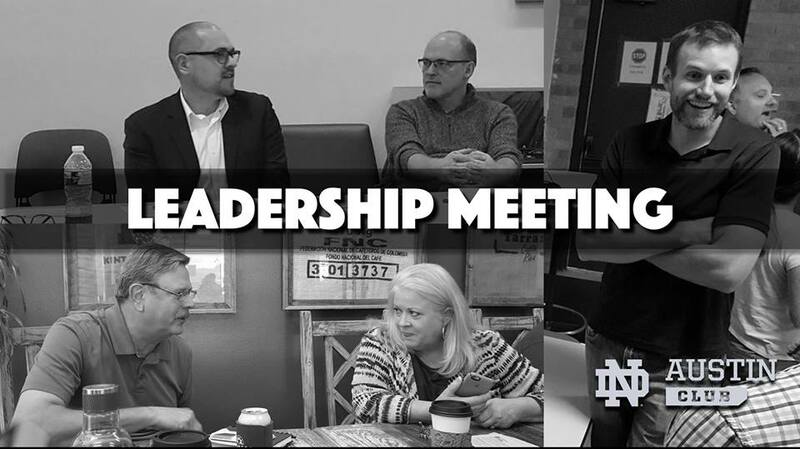 If you’re ready to get in the game with the ND Club of Austin, this is a great way to meet our leaders, discern areas of need and find a place to plug in. They rotate locations throughout the Austin Public Library system (free meeting space is a good thing) so add this to your calendar and join us. Go Irish!